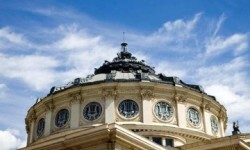 Are you looking for reasons to visit Bucharest this October? Don’t miss these cultural events! 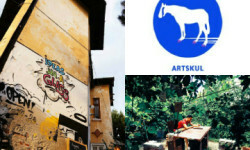 ART ON DISPLAY – Art in Bucharest’s urban spaces! Starting on October 16th until October 26th, the downtown shopping area of Bucharest will be transformed into a temporary art gallery. The shops on Calea Victoriei will host, in their showcases, art exhibitions and installations aiming to make a point over the esthetic looks of the Romanian Capital, by forcing a dialog with the advertising images and messages that invades our daily lives. Art On Display introduces to the viewer ten art projects that presents the need of Romanian contemporary artists for a direct, accessible and public space within the Bucharest city life, creating a tension between the seduction of marketing industry and contemporary art. 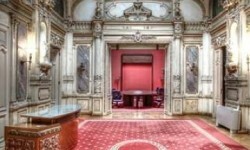 Artists: Aparatus 22, Bogdan Ciocodeică & Diana Roșu, Andreea Dobrin, Radu Mocanu, Ada Mușat, Mircea Nicolae, Buleu Pompiliu, Lea Rasovszky, Iulia Toma, Sorina Vazelina. 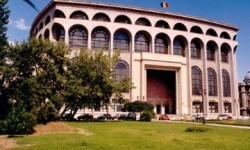 Bucharest ArtWeekEnd – Discover the Art Galleries in the Romanian Capital ! 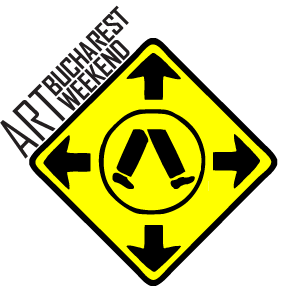 Between October 18 and October 19 in the capital city of Romania, will also take place Bucharest ArtWeekend; 22 art galleries promoting Romanian contemporary art and young emerging artists. Galleries: Aiurart Contemporary Art Space; Anaid Art Gallery; 418 Contemporary Art Gallery; Galeria Anca Poterașu; Galeria AnnArt; Atelier 030202; Căminul Artei – Centrul Artelor Vizuale; Centrul Artelor Vizuale – multimedia center; EASTWARDS PROSPECTUS; Galateca; H’art Gallery; Imbold Galeria; Ivan Gallery; LABORNA Contemporary Art Gallery; NAG Pop Up Gallery @ MagheruOne; Galeria Nicodim; Pavilion; Sala Dalles / MNAC; Spațiul Platforma / Anexa MNAC; Studio Arte; Victoria Art Center; Zorzini Gallery.